Cary Flitter is a highly respected expert in consumer law. Many of his cases have broken new ground, helping to shape the law itself and set the precedent for future decisions. Media outlets ranging from Time magazine to FOX News have sought Cary’s legal input. Cary is founding partner in Flitter Milz P.C., and a member of the Pennsylvania, New Jersey, and New York bars. He has more than 30 years of trial and appellate experience in federal and state courts in Pennsylvania, New Jersey, New York, and in courts throughout the United States. Cary has built his practice around litigating cases on behalf of consumers against debt collectors, banks and finance companies, insurance companies, car dealers and credit reporting agencies. He represents clients as individuals and in class actions, in consumer lending, unfair debt collection, vehicle financing and leasing overcharges, credit reporting, credit privacy, product warranty, identity theft, and other consumer cases. 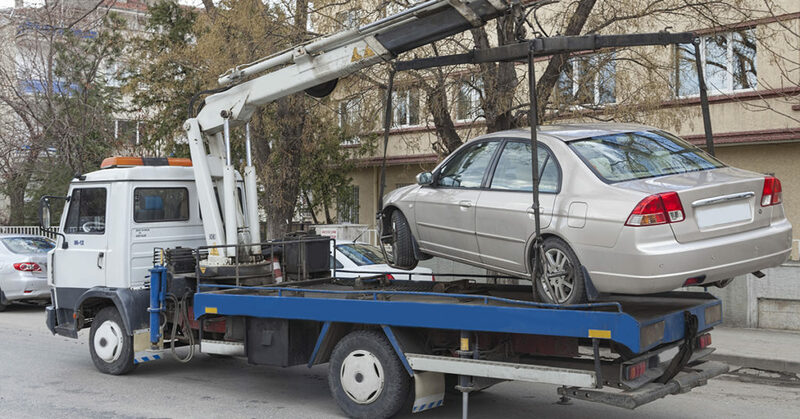 Cary and the firm have brought over a dozen consumer class actions against banks and credit unions challenging their vehicle repossession practices. 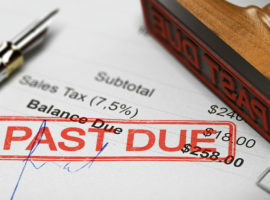 Some of these cases have made new law, or extended existing law, in a positive way for borrowers who have suffered a repossession in many of the 50 states. A Philadelphia native and graduate from Philadelphia’s distinguished Central High School (231), Mr. Flitter received his bachelor’s degree in Finance from Philadelphia University and his law degree from the Delaware Law School of Widener University. He is a graduate of the National Institute of Trial Advocacy and the renowned Trial Lawyers College. Currently, Cary serves on the adjunct faculty at Temple University's James E. Beasley School of Law and Delaware Law School of Widener University where he teaches Consumer Law & Litigation, including class action practice. From 1991 to 1999, he served on the adjunct faculty at Philadelphia University’s School of Business, teaching Commercial Law. Cary has accepted invitations to guest lecture on consumer law issues at Harvard Law School, University of Pennsylvania School of Law, and many other venues. The Pennsylvania Judicial College in Harrisburg, PA, invited Cary to participate as a presenter in the Minor Judiciary Education Board's continuing legal education program. Cary presented the course, "Collection Cases: Primer on Proofs, the Debt-Buying Industry, Consumer Defenses & Regulations of Debt Collectors", over 13 sessions to all the Magisterial District Judges, Senior Magisterial District Judges, Philadelphia Municipal Court Arraignment Court Magistrates, and prospective judges of these positions across the state. Cary has been invited by the Federal Trade Commission to participate in its fact-gathering, and presented the consumers' interests in regulation of debt collectors. Cary has presented consumer law topics for the Practicing Law Institute, a non-profit learning organization dedicated to keeping attorneys and other professionals at the forefront of knowledge and expertise. Cary is a contributing author to Pennsylvania Consumer Law, the leading legal treatise in Pennsylvania on consumer law issues, and Consumer Class Actions published by the National Consumer Law Center in Boston. He has also published articles in national, regional and local publications, and presented continuing education programs on consumer credit protection for lawyer and lay audiences. 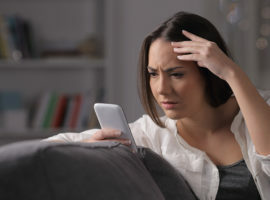 Cary is a member of the National Association of Consumer Advocates (NACA), an organization that works towards protecting the rights of consumers, particularly those of modest means. He was named Consumer Advocate of the Year by NACA in 2014. Cary has served on the Board of Directors of Pennsylvania's Montgomery Bar Association, and has co-chaired the Bar Association’s Federal Courts Committee regularly since 2000. The leading legal treatise in Pennsylvania on consumer law issues. Consumer Class Actions, 5th Ed. The Montgomery Bar Association presented Cary with the 2017 President's Award for his efforts in furthering justice. Cary directed over $200,000 in cy pres, or residual funds, to Legal Aid of Southeastern Pennsylvania, a legal aid organization which provides legal representation to low-income residents in Bucks, Chester, Delaware, and Montgomery counties. Super Lawyers is a rating service of outstanding lawyers who have attained a high degree of peer recognition and professional achievement. This selection process includes independent research, peer nominations, and peer evaluations. Cary was honored for making special contributions to advancing the practice of consumer law. The National Association of Consumer Advocates is a nonprofit association of more than 1,500 attorneys and advocates committed to representing consumers' interests. The Montgomery Bar Association recognized Cary for his work in training Legal Aid Lawyers and county staffers in the specialized area of consumer protection law and for his generous support of Legal Services. PLAN is an organization that provides support to improve the availability and quality of civil legal aid and direct legal services for low income people and victims of domestic violence in Pennsylvania. The Excellence Award recognizes those who support the Pennsylvania legal aid societies and their clients served by the civil legal programs that comprise the PLAN. Cary was honored to receive the Alumnus of the Year award from Widener University School of Law. This award is presented to an alumnus who - through service to community or profession or by honors received, service rendered, or other accomplishments - has brought honor, recognition, and distinction to the law school. Cary Flitter received this distinguished honor for special voluntary efforts in providing free legal representation to low-income Pennsylvanians. He presented Continuing Legal Education to legal aid attorneys around the state about consumer law issues and statutory attorney fees. Cary Flitter received the annual award honoring an individual who has made significant improvements in providing legal services to the poor. He provided pro bono education to fellow lawyers and law students that serve the less fortunate. Cary Flitter received the annual award presented to alumni for outstanding service to the Law School and legal community. Cary has a score of ten out of ten. Cary has a score of 4.4 out of 5.0. Preeminent 5 out of 5 rated. Cary Flitter speaks to lawyers around the U.S. on a variety of consumer law topics that involve the Fair Debt Collection Practices Act, Fair Credit Reporting Act, Telephone Consumer Protection Act, Consumer Repossession Laws, federal civil and appellate procedure, class action practice, and issues confronted by the consumer protection law practitioner. Invited by the Supreme Court of Pennsylvania to present on debtor-creditor developments, including auto repossession, over 13 sessions to Pennsylvania's 640 Magisterial District Justices. FDCPA after Brown v. Card Service Center: What is Deceptive?